Power Mac Center and Catalyst let you explore the world with ‘waterproof, adventure-proof’ lifestyle cases for Apple devices. Now you can go outdoors without the worry that your Apple devices might get damaged, as they are fully protected by Catalyst case against possible accidents whether it's an iPhone, iPad or even Apple watch, making it waterproof, dirt-proof, shockproof, and drop-proof. 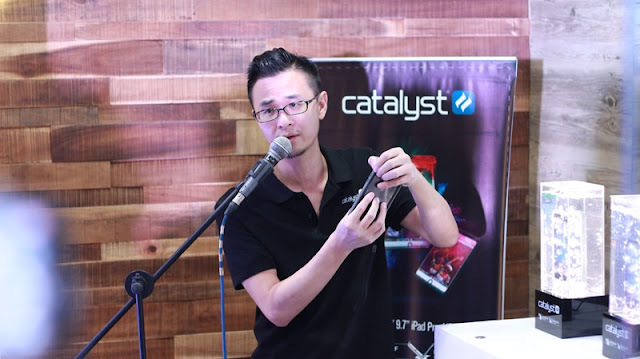 The Catalyst case started as a crowdfunding platform Kickstarter back in 2011, founded by climbing partners Josh Wright and June Lai. Catalyst since then introduced lifestyle accessories that will change how you protect your precious Apple devices. Catalyst is a lifestyle accessories brand that creates products that enable people to explore and share their world. With high-end devices, specially from Apple, requires great responsibility(as the cliche goes) and care. You don't want to destroy your iPhone/iPad or Apple watch by just being not having the right kind of accessory to protect it. Now you can take care of your investment through the Catalyst Case while keeping the device's functionality working within reach. 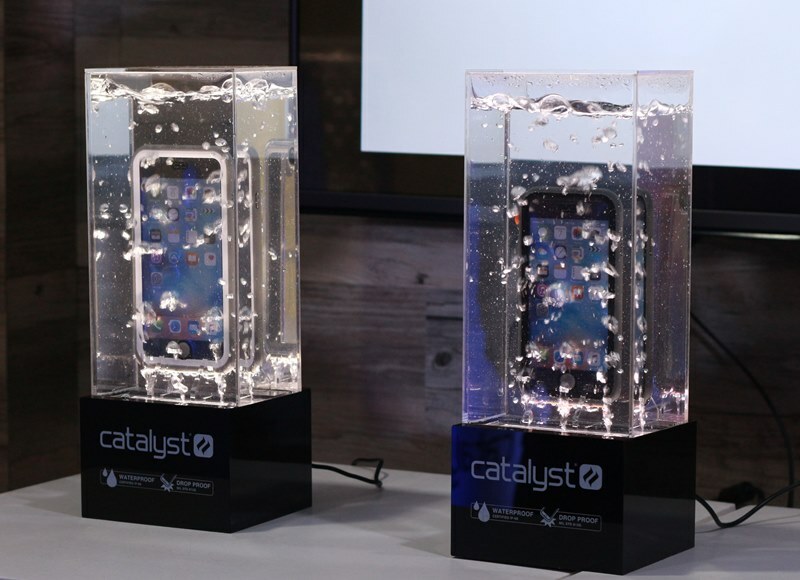 During the official unveiling of Catalyst cases for Apple devices in Power Mac Center, we're able to witness how these cases can protect them during accidental drops, water spills and full protection even if you submerge them into the water. Each Catalyst case for iPhone is tested IP-68 waterproof up to 16.4 ft(5m), except for iPad Pro and iPad mini 4 which has max of 6.56ft(2M), protecting your Apple devices inside out. Yet, most functionality like the Touch ID will still work thanks to the integrated touchscreen film. These Catalyst cases for Apple are made of premium quality materials including impact-resistant polycarbonate, a soft-touch rubber bumper, silicone seals, and air- and water-tight acoustic membranes. The Catalyst case features a transparent front and back, perfect for showing off the device’s sleek design. This is something worth taking note of as some competitors' design looks dull and hard to distinguish that the device inside is an iPhone. Aside from the Catalyst cases for iPhones and iPads, they also a device floater. The Catalyst floating lanyard keeps your devices afloat and attached to your wrist. It has a bright orange color and reflective logo making it visible in open water. They also have one in Stealth black, but no words yet if they will be offered locally. “We are thrilled to welcome Catalyst to the Power Mac Center family and to finally be able to share these innovative products to the Filipino market. What we love about Catalyst is that it supports the adventurer in all of us. It pushes boundaries and lets us explore and just enjoy,” said Power Mac Center Marketing Director Joey Alvarez. Present during the event was Champ of Hale who was also who believes in having his Apple devices protected by Catalyst cases. Each Catalyst case comes with 1 year warranty and can be purchased at select Power Mac Center branches. Catalyst case for iPhone7 and 7s can withstand more than 5m of water. The next-gen Catalyst cases should be revealed by January 2017.